Make the Most: Blog Anniversary! Giveaway! This month marks two years since my first blog post. Over the past 24 months (and 280 posts!) this little blog has documented many moments and thoughts of mine, and I'm incredibly thankful to have them all saved in this little corner of the Internet. I'm also so thankful for anyone that has stopped by here, even if only once. Thank you for your feedback, sharing your stories and letting me share mine. 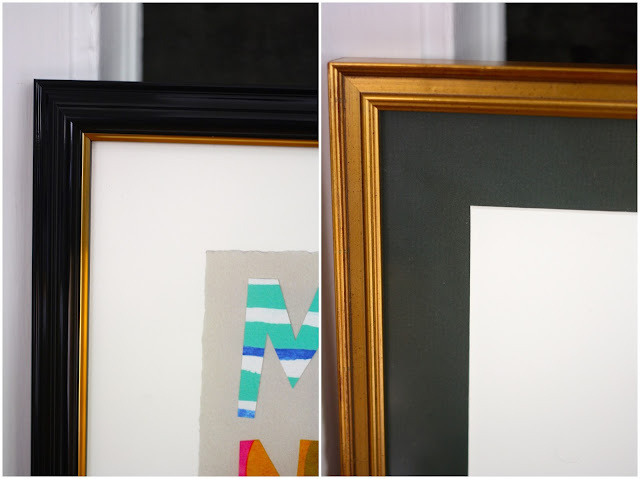 To show my appreciation and in the spirit of us still decorating our new space, I've partnered with two amazing sponsors, Erin Guido and Framed & Matted, to host a little giveaway for one of Erin's prints, in the most elegant of frames (a combined $200 value, wowza!!!). And now a little about these wonderful brands. Erin is an artist from Ohio whose work is beautiful and creative, with spot on messages. 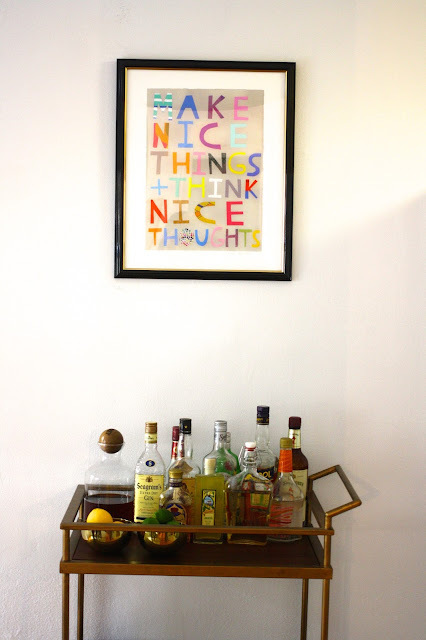 We've loved having one of her inspiring prints over our bar cart. Framed & Matted is an online custom framing solution that makes framing easy and affordable and allows you to expand your art horizons beyond 8"x 10" without fear of never being able to find a frame that fits. There are dozens of frames and matting options to choose from, but the process is less intimidating and more accessible than other framing experiences because all the options are up to you, and you make decisions in the comfort of your own home. Side spiel: custom framing is a sensitive subject around here. One year Brian got a giraffe print framed for me for my birthday and was in shock of how much it cost to frame the 8"x 10 (with a plain white frame at that!). I made the same mistake that same summer, framing a wedding present for a horrific, unreasonable amount. Those mom-and-pop, boutique frame stores are cute, but they don't mess around (or offer discounts). The giveaway will close on Friday, July 31. One randomly selected winner will be notified by email on August 3, 2015. Open to U.S. readers only. Good luck! What a sweet way to commemorate your anniversary! And such beautiful prints too!